This first appeared on Compassion International's blog on January 20, 2017. Ironic. We believe the solution to making poverty history in our world begins with our children. Invest in their development, give them the right tools, and empower them to become history makers and world changers themselves. What better way to start off 2017 than … Continue reading Compassion Wednesday: Reblog – Who is Making History in the World of Poverty? Compassion Wednesday: Is it Enough? Enough. It's a tricky word. It implies a limit, a goal reached, or the end of effort. Yes, it can also simply mean that the effort is not in vain. It's in the murky waters of that last attribute that we lose ourselves. Am I doing enough? Do my efforts make a difference? Does any … Continue reading Compassion Wednesday: Is it Enough? 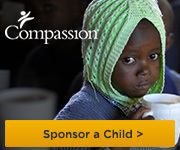 This post first appeared on Compassion International's Blog on March 15, 2016: “My passion is to rescue and save other people’s lives,” said 19-year-old Jonathan. Jonathan is an alumnus of the Amor Viviente Child Sponsorship Program in Honduras, and has been able to achieve his dream as a result of being registered in the program. … Continue reading Compassion Wednesday Reblog: I Want to Be a Firefighter!